NEW PRICE on this desirable quality built Arthur Rutenberg pool home with 4 beds, 3 baths and bonus. This lovely homes sits on a half acre lushly landscaped private lot with a fenced dog area off lanai. Key features include a BRAND NEW ROOF with radiant barrier insulation in attic, ONE NEW A/C and another newer one. The home has tile flooring throughout, formal living and dining areas, updated kitchen with stainless appliances, gas range/oven, center island, breakfast bar, gas fireplace in family room, surround sound, Arthur Rutenberg signature ceiling detail with crown molding, plantation shutters, window treatments, updated baths, lots of closet storage, spacious secondary bedrooms, over sized three car garage, water softener, gas stub on lanai so you never run out of gas when grilling, well for irrigation that saves $$ on water bill, micro irrigation in all planting beds and hurricane panels for all windows and doors. You won't believe your eyes when you see the size of the pool that was designed for some serious swimming and diving. 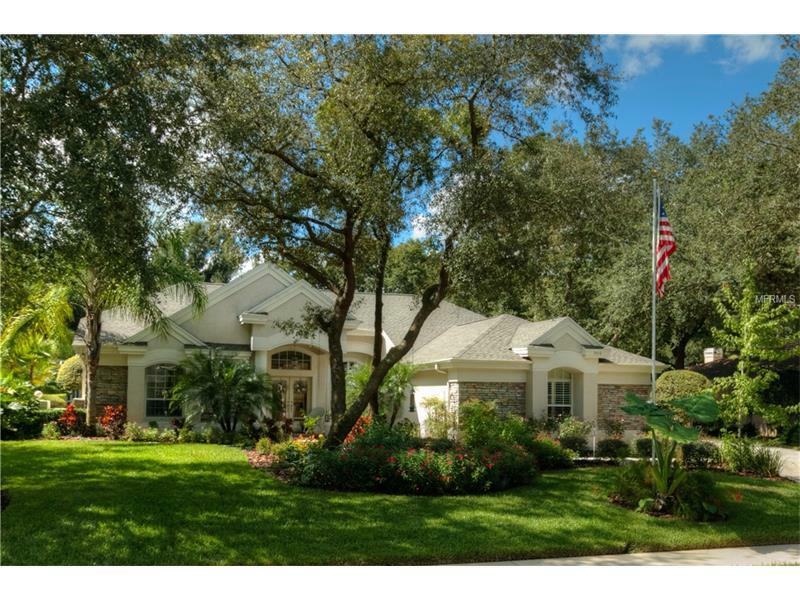 Located in the exclusive gated, guarded 24/7 community of Fish Hawk Trails with miles of wooded trails, clubhouse for social functions, basketball, tennis, parks with playground equipment, close to amenities and some of the best schools in the county. You can't ask for more...make your appointment to see it today!